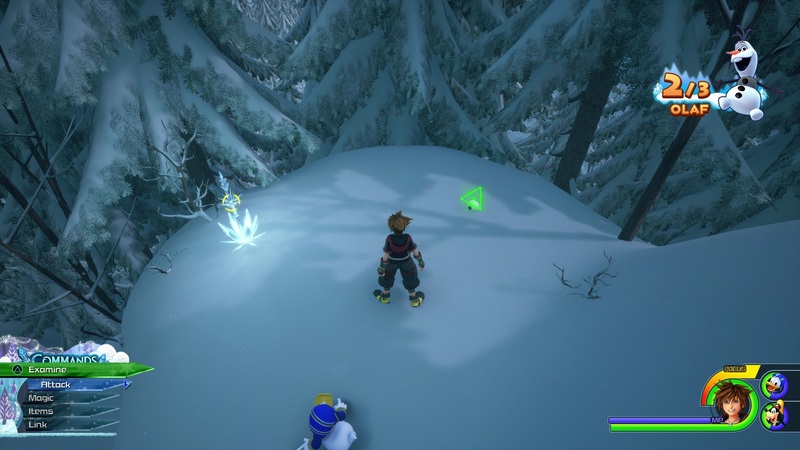 There are many Disney and Pixar worlds that you must protect from a Heartless invasion in Kingdom Hearts 3, and, in order to visit them, you will spend time voyaging across the ocean between in your Gummi Ship. 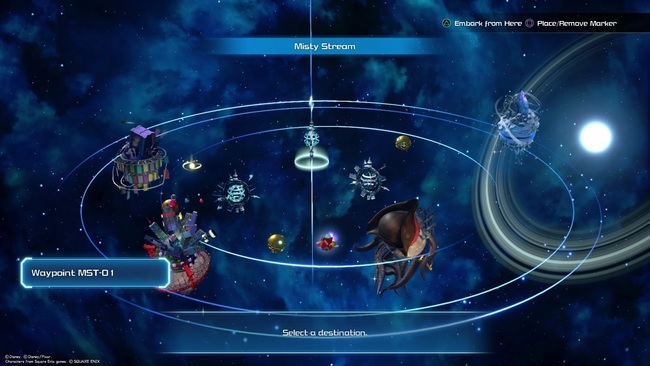 There's much to discover in these starry expanses, and, for those setting out to earn the Platinum trophy, there are nine Final Fantasy-themed constellations that you must take a picture of to unlock the Stargazer trophy (or achievement). 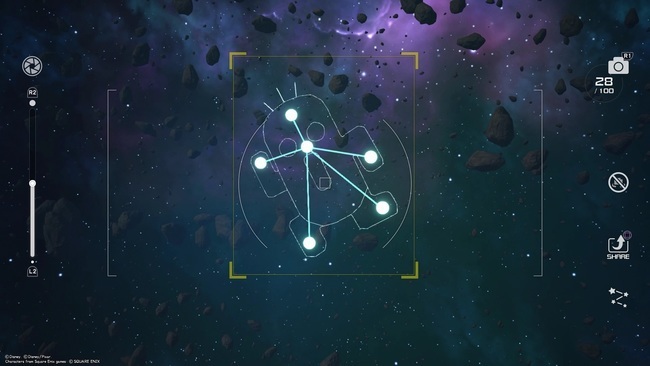 Discovering them all will reward you with more than bragging rights with your friends, as, for each constellation that you snap, you will unlock a Gummi Mission that will award you a blueprint based on whichever constellation you have found. 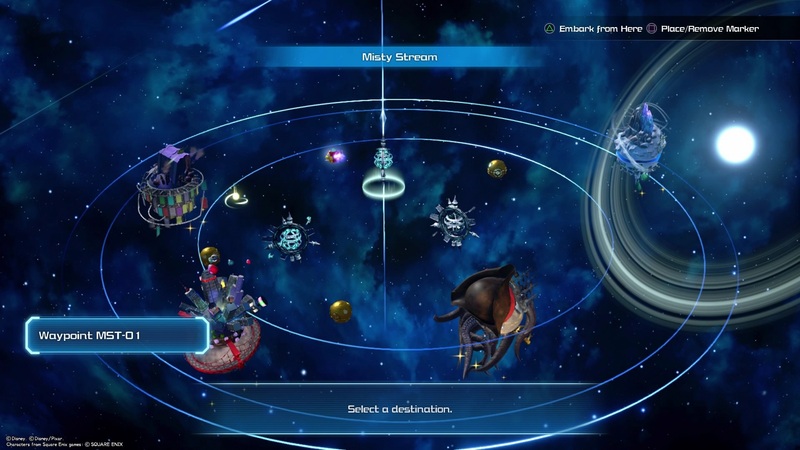 Not to get ahead of myself too soon, but that ultimately means that you can fly around in a Moogle-shaped Gummi Ship. And, well, who wouldn't want to do that? Early on, you will only be able to search for the three constellations in Starlight Way, but, as you continue to progress through the story, you will eventually have the chance to explore Misty Stream and The Eclipse. In offering brief pointers as to how to reach each constellation, I will be referring to the nearby Disney and Pixar worlds. 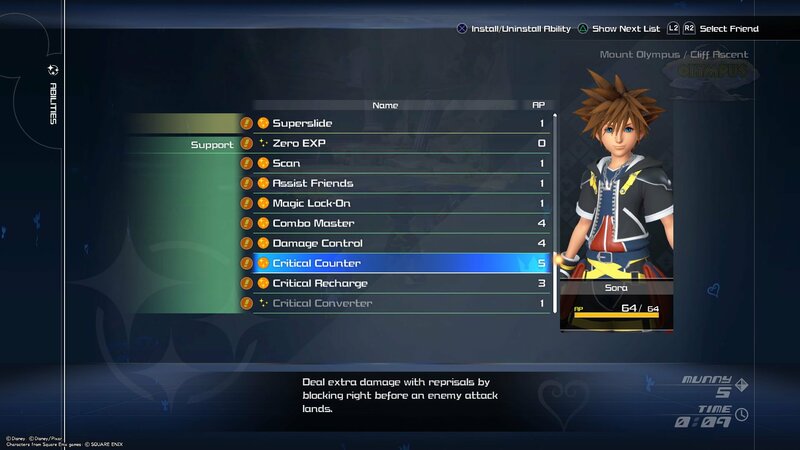 So, if you would treat that as a spoiler, then count this as your spoiler warning before reading any further! 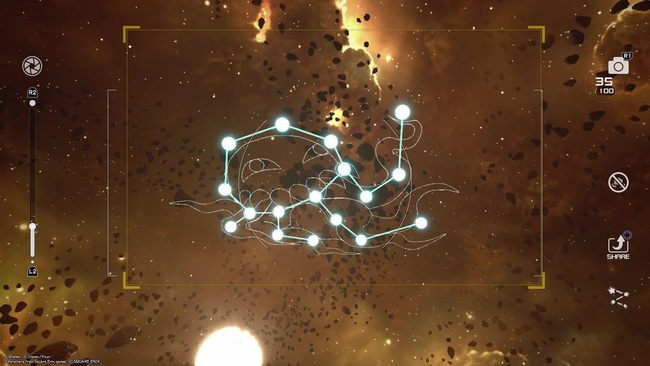 Based on the explosive enemy, the Bomb constellation will not take you long to locate and won't self-destruct once you snap it with your Gummiphone. 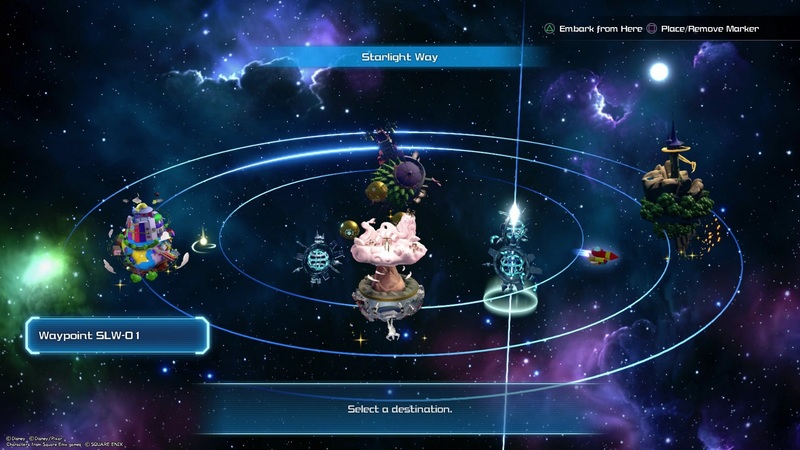 Choose to embark from Olympus in Starlight Way and, once the game has loaded, simply turn your ship left until you see the constellation in the distance - it lies in roughly a southwest direction. Ignite your Gummi Ship's engine to get closer, before taking your first photo. 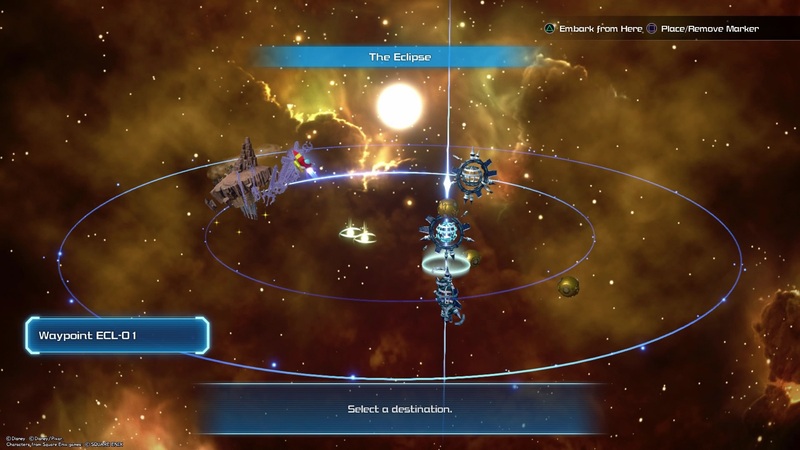 Open the Zone Map and warp to either Waypoint SLW-01 or the Kingdom of Corona to embark on your next voyage. 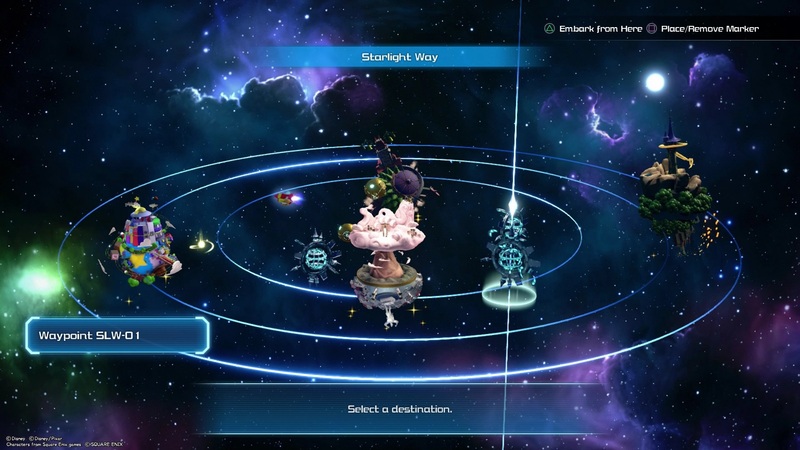 You will want to head east from Waypoint SLW-01 (or southwest from Corona) to reach the Cactuar constellation. 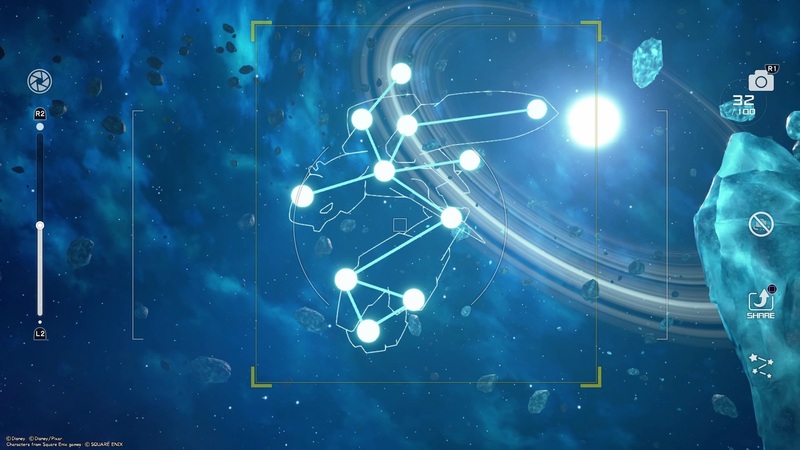 As with all constellations, the best tip that I can give is to look for the rounded light blue glow of the stars that form them. In any case, they aren't mischievously hidden so you should soon come across it before long. Easily one of the best constellations that you will discover, the Moogle constellation is near to Twilight Town. 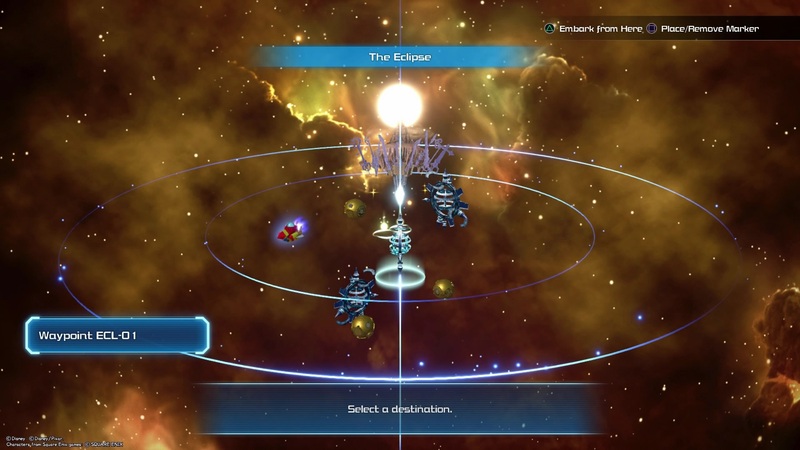 Warp there using the Zone Map and, once you have arrived, look to your right. You should be able to see two stars that form the constellation before you have even moved, slightly above the asteroids that block your path. Fly over (or under) them, and whip out your Gummiphone to take your next photo when you get near. 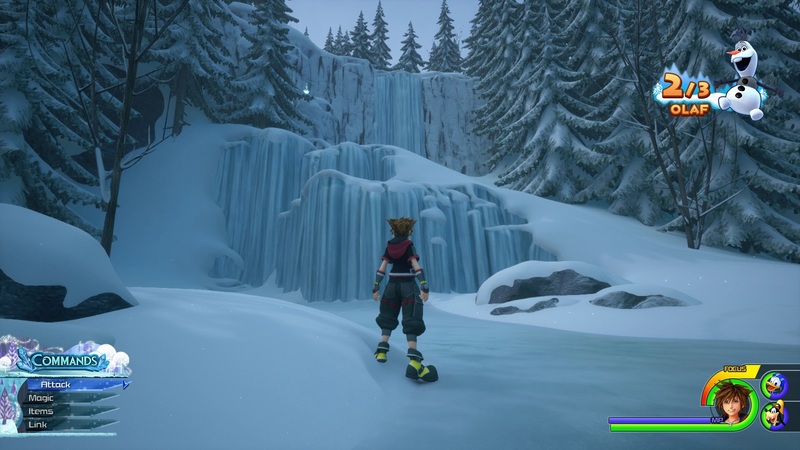 Return to the World Map and switch to the Misty Stream (L2 or R2 Button). The Endymion constellation is near to The Caribbean world, so choose to embark on your next voyage from there. 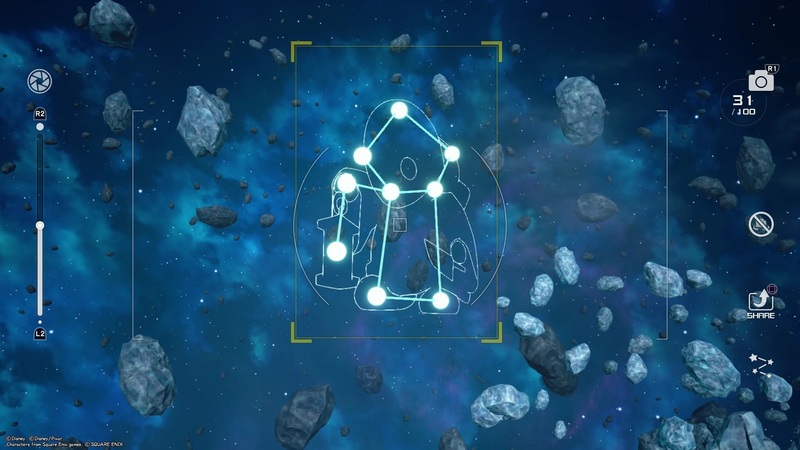 Tilt your ship until you see the giant asteroid that you have been warped next to, and if you orbit it to the left, you will soon see the Endymion constellation to snap. 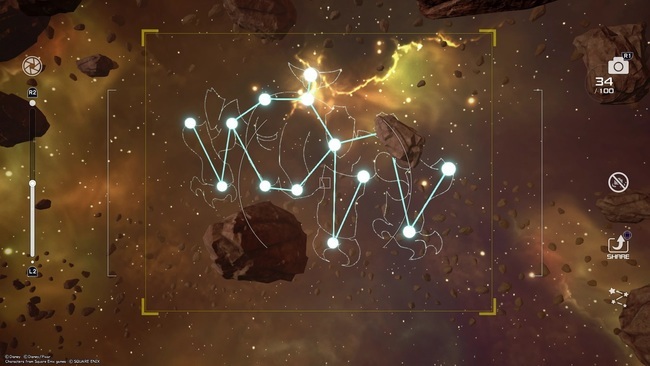 The Imp constellation is closest to Waypoint MST-01, so warp there to save time and start to head west once it has loaded. 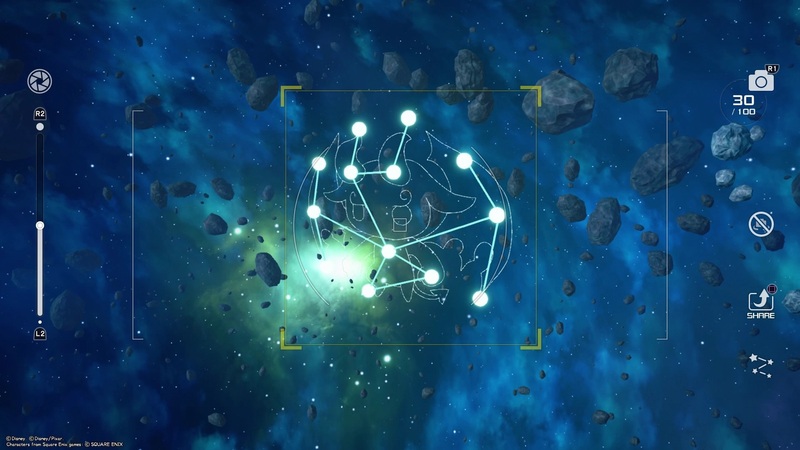 You will need to fly between some asteroids, and, once you are past them, turn to your right where, behind another gray-colored asteroid, you should see the constellation partly hidden behind it. Return to Waypoint MST-01 as your starting point - you can warp using the Zone Map to save time - and the Tonberry constellation is, basically, in a similar place to the Imp constellation but to the east. Orbit around the asteroid to your left and, once you have reached the other side, start to journey upward in your Gummi Ship. 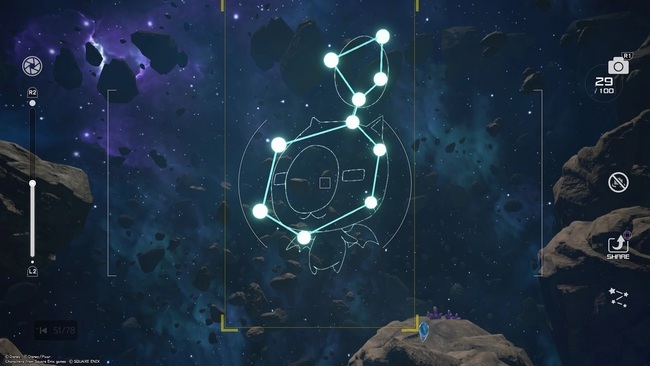 The constellation is placed higher than the others, but it's out in the open so you shouldn't have any trouble spotting it. 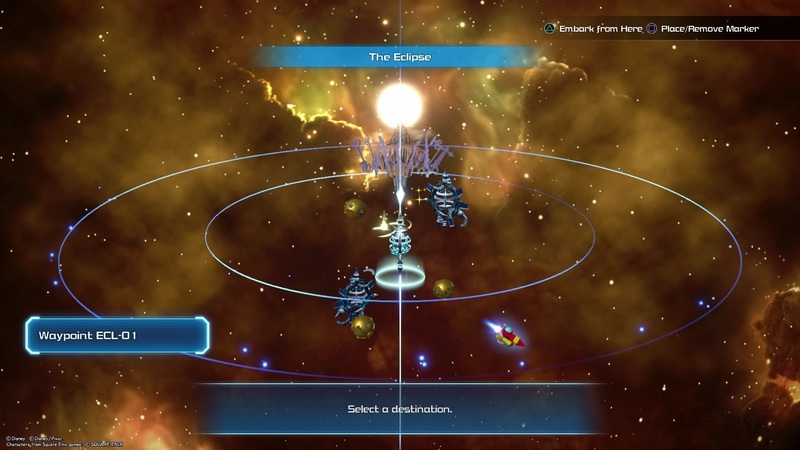 Now on to The Eclipse for the last three constellations. 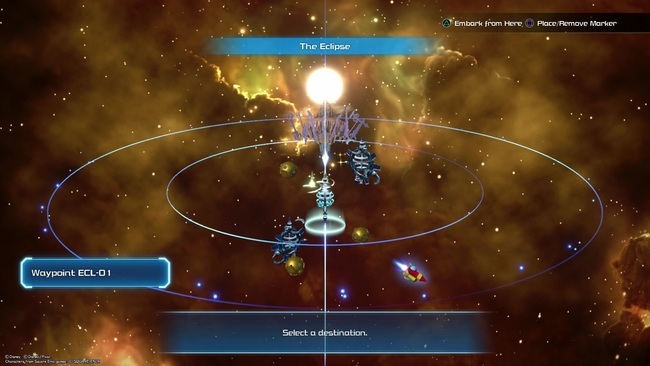 When you first arrive in this area, you are inside an enormous space station. 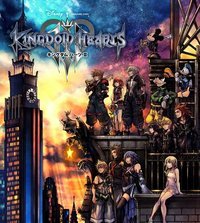 However, you will eventually reach The Keyblade Graveyard, which we will use as the warp point to embark from - seeing as you won't be able to photo any constellations from inside the station's metallic confines. That also makes them easier to find, with the Bismarck constellation to the southwest - west from Waypoint ECL-01 if you use the Zone Map as a reference. 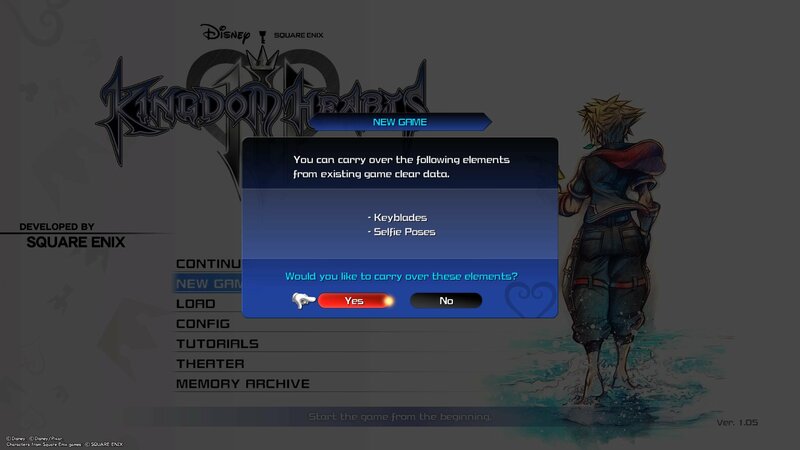 There's no real need to warp back to The Keyblade Graveyard at this point, as the Omega constellation is far out to the southeast. You will be closer to its location if you have just snapped the Bismarck constellation, and, as always, use our Zone Map screenshot below for guidance as needed. 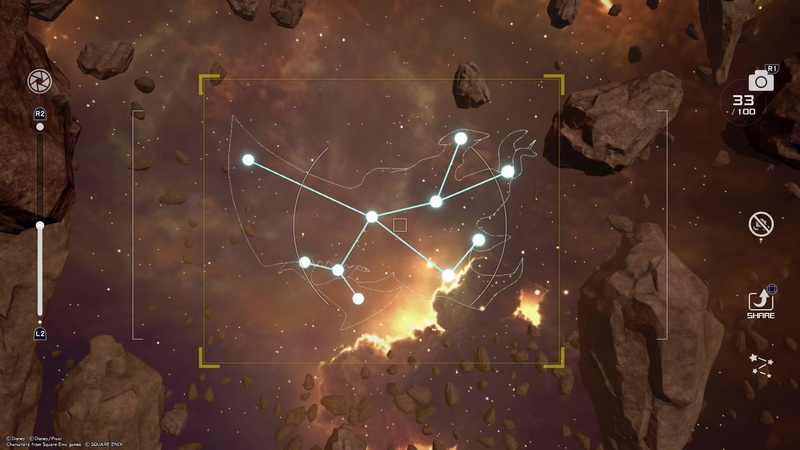 We've saved the best (and easiest) constellation for last. Warp back to The Keyblade Graveyard and you simply need to look above and slightly behind where you start to see the Ultros constellation looming over you. 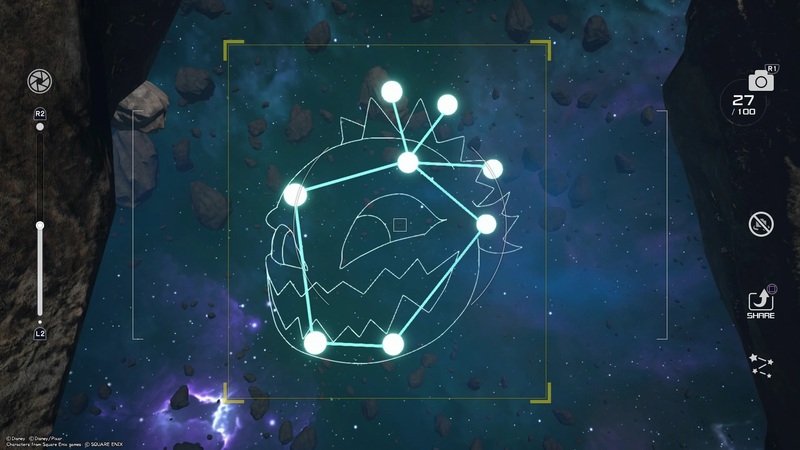 It certainly feels menacing, and, if it's the last constellation that you needed to snap with your Gummiphone, you will unlock the Stargazer trophy in the process. 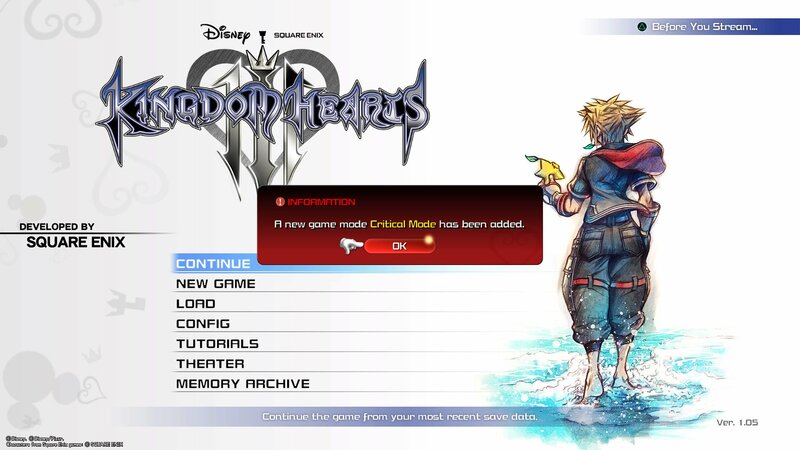 That's something ticked off the list, at least. 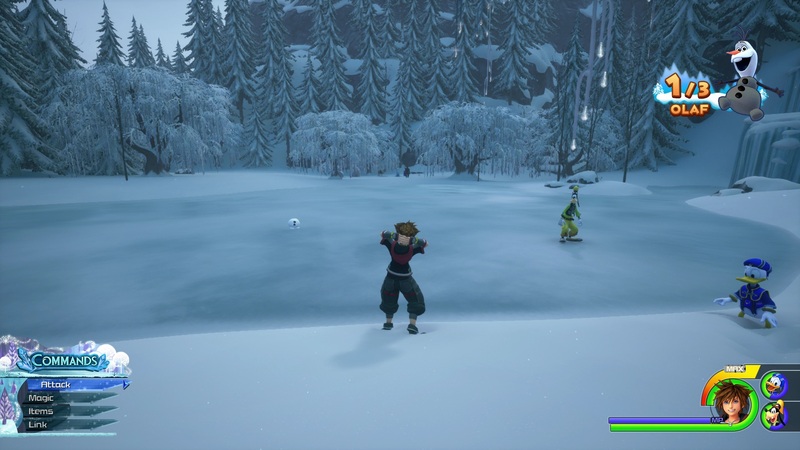 Kingdom Hearts 3 World Order guide: what order should you tackle the worlds in?